EnClare A6Burn Review | Buy or a Scam? We would all like to sleep better and wake up leaner the next morning! According to the advertising for A6Burn, if you take this supplement this is exactly what will happen! Let’s find out more about EnClare A6Burn. EnClare is a US company based in Florida that sells around six health products, including supplements and a lumbar support cushion. The company sells via the product website and Amazon. EnClare A6Burn is a supplement you take before bedtime. You are advised to take on an empty stomach and avoid eating a drinking within 2 hours and some customers have struggled with this, especially those who already take night time medication. A6Burn contains six amino acids plus bovine colostrum, but although there is nothing intrinsically unhealthy about the supplement, there is nothing here that will make you burn fat in your sleep and many customers have experienced insomnia from taking it. Serving size is equal to one capsule, so each bottle of 60 will last for two months and you are covered by a 30-day money-back guarantee if you are dissatisfied with this supplement. The money-back guarantee applies only to US customers, but EnClare A6Burn is also available to international customers if you buy directly from the official website. What Are The Side Effects Of EnClare A6Burn? Reported side effects include insomnia, inability to fall asleep, headaches, stomach pains, weight gain, hot flashes, and night sweats. Other side effects may include nausea/vomiting, diarrhoea, changes to stools, and stomach upset. A6Burn contains cow colostrum so will not be suitable if you are allergic to milk or suffer from lactose intolerance. Speak to your doctor before use if you have an underlying medical condition or are taking prescription medication. How Much Does EnClare A6Burn Cost? 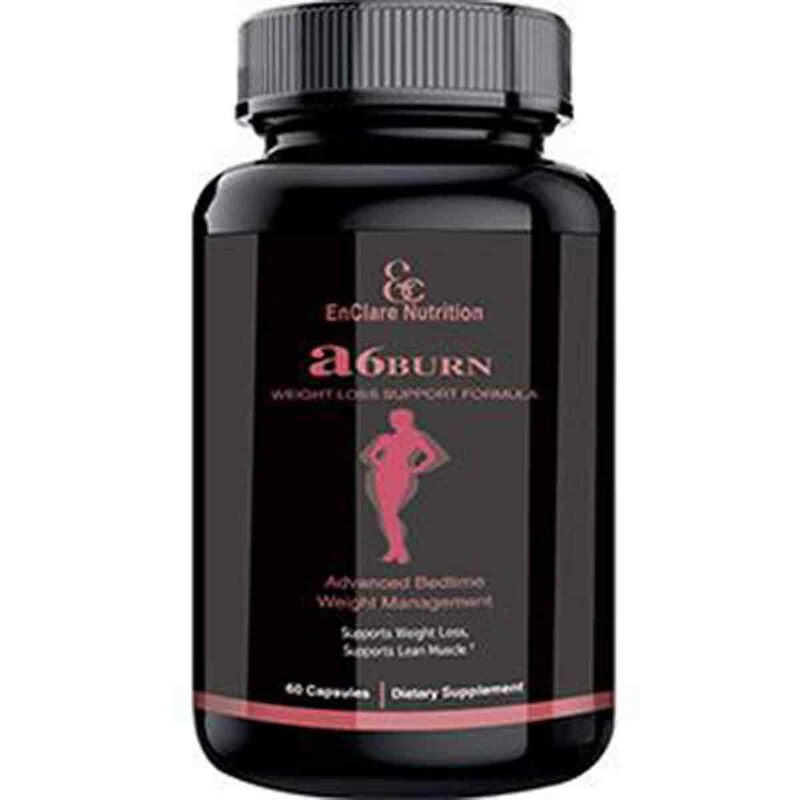 EnClare A6Burn is not expensive, especially when you consider that each bottle contains 60 capsules (60 days supply). Buy from the official EnClare website and it costs $25.97. Shipping is calculated at the point of sale. It is also on sale via Amazon where it costs $22.95. EnClare A6Burn is an inexpensive supplement that is supposed to help fat burning AND sleep, but we think it is very unlikely to work as described. Although a couple of the amino acids may help induce sleep, evidence is not strong and what little there is based on much higher quantities of ingredients than present here. That said, some people who struggle with night time snacking have felt that this supplement which contains milk in the form of colostrum, has reduced hunger. In addition, an amino acid supplement is unlikely to do you much harm and may have generalised health benefits. We like the money-back guarantee and the fact that A6Burn is made in the USA. 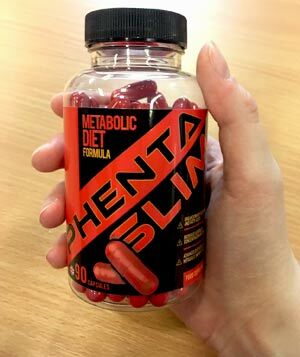 We also like the price, but in our opinion, this supplement will probably not work in the way as described, so we do not recommend EnClare A6Burn to the Watchdog readers. EnClare A6Burn is advertised as an Advanced Bedtime Weight Loss Supplement for Women, that will both help you sleep and help you lose weight at the same time. The idea seems to be that it will help your body recover and repair overnight (as sleep does), suppress your appetite, and provide other fat burning benefits as well. Unusually, A6Burn does not contain any herbal sleep remedies such as chamomile. Instead, the supplement is protein based containing amino acids – the building blocks of protein and these include L Arginine, Ornithine, and Glutamine. The A6Burn name refers to the 6 Amino acid ingredients contained in the supplement, which also contains bovine colostrum. Check out the ingredients tab to find out more. There is nothing in this supplement that makes it only suitable for women, but as EnClare is a female only brand, this is more to do with marketing than it is for any real reason. The female silhouette on the bottle is going to appeal more to women than men. It will be very inconvenient for many users to take A6Burn on an empty stomach before bedtime. Other EnClare products include a sleep set consisting of a mask and earplugs which could be used with A6Burn. There is also a lumbar support pillow, a 15 Day Detox supplement, and an anti-aging supplement based on Forskolin. What Does EnClare A6Burn Claim To Do? It seems highly unlikely that A6Burn will help you sleep, help you lose weight while you are sleeping, or any other of the claims made in the advertising. Amino acids are the building blocks of protein, and so are crucial for health and well being. They are the reason that eating protein is so important because they help the body repair, grow, and maintain health, and they work in many different ways. Isolating amino acids and using them in supplements can be very effective for many different purposes. Some amino acids such as Branched Chain Amino Acids can help fat loss. 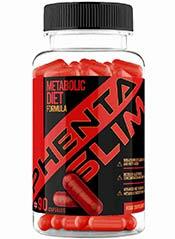 However, there is nothing in this supplement that will really help you lose weight and sleep better. Many of the components of A6Burn such as Glutamine and OKG can help the body heal, and there are substances such as Arginine that can improve Nitric Oxide and blood flow in the body. Some people believe Ornithine helps sleep, others believe that it increases alertness, Glycine may help protect against herpes, but none of this really adds up to weight loss while you sleep. And with low serving sizes, we think it is even more unlikely. The supplement also contains colostrum and some people find that a milky drink can help sleep. In our opinion, a milky drink will probably be better for sleep than this supplement. What Are The Ingredients of EnClare A6Burn? Serving size is equal to one capsule. L Arginine (200mg): Amino acid naturally present in the body where it converts into a substance called nitric oxide. Nitric Oxide is beneficial for heart health and exercise performance because it relaxes the arteries and blood vessels, which improve blood flow around the body. Arginine is sometimes taken for heart failure for this reason. L Arginine is often taken in pre-workout supplements, but in much greater quantities than here. L Ornithine HCI (50mg): This amino acid is naturally present in the body and made synthetically too. It is usually taken to improve exercise performance, and can improve power and strength if combined with Arginine as here. It is often taken in high servings for this reason, although it lacks any real clinical testing or information about an effective serving size. Some people claim Ornithine helps combat fatigue, other claims are that it helps you sleep although it is usually taken in much higher quantities for this purpose than provided here. L Glutamine (150mg): Glutamine is the body’s most abundant amino acid. The body uses it where needed, especially when the body needs to repair itself such as following a workout or after an injury. In supplement form, it may be effective for muscle building and it is useful for many medical conditions such as burns, wasting conditions, or chemo recovery. Serving size here is very low. Colostrum Powder (bovine) (100mg): Colostrum is the first milk a mammal, in this case, a cow, produces after giving birth and it is full of added nutrients and antibodies that can have long-term protective effects for the baby. For humans, bovine colostrum is sometimes taken to boost immunity to gastric diseases and flu. There is not much evidence it can help burn fat, but it may increase muscle building in the elderly. Serving size here is very low so seems likely to be ineffective. Ornithine Alpha Ketoglutarate (50mg): OKG is composed of a salt made from ornithine added to the substance that goes on to make Glutamine in the body which is Alpha Ketoglutarate. OKG is taken to increase muscle strength and improve wound healing. It may also improve symptoms of chemotherapy such as nausea. For wound healing serving size is likely to be around 10g a day. L Glycine (50mg): Glycine is produced by the body where it has many purposes. Taking glycine in supplement form may improve sleep patterns and improve alertness the following day, but it lacks evidence and information about optimal serving size. Does EnClare A6Burn Have Any Side Effects? Not suitable for individuals under 18. Avoid if you are pregnant or breast feeding. Ask your doctor before use if you have an underlying medical condition or are taking prescription medication. Avoid if you are allergic to milk. Are There Any Customer Reviews For EnClare A6Burn? There are customer reviews for EnClare A6Burn on Amazon, and opinion is split fairly evenly. Some customers like this supplement. I have a Horrible habit of night time eating!!!! I got in the habit due to an injury years ago and found that eating at night helps me to sleep. I HATE this habit and have gained 50lbs from it….Thanks to this I really have hope in becoming myself again!! I’m not kept awake, not eating in the middle of the night and really feel like I’m getting a grasp on my health again!!! Love it!! I didn’t have notice any weight loss but it is a great night time sleep aid. This product did not work at all. It was a waste of my money. Does EnClare A6Burn Offer a Money-Back Guarantee? 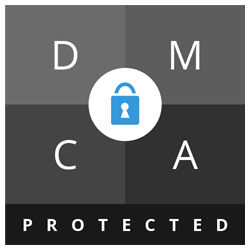 There is a money-back guarantee on offer and it does apply to open/used products. “If you are in any way unhappy with our product, please return it to us within 30 days of purchase. Simply request a return on your account page or request a return on our site. Once we receive your return request, we will email you a return label. Where Can I Buy EnClare A6Burn? You can buy A6Burn via the EnClare website. It is also on sale via Amazon. How does EnClare A6Burn compare to Phentaslim? The Diet Pills Watchdog does not recommend EnClare A6Burn.